Learn all about families with Disney Channel's Elena of Avalor! 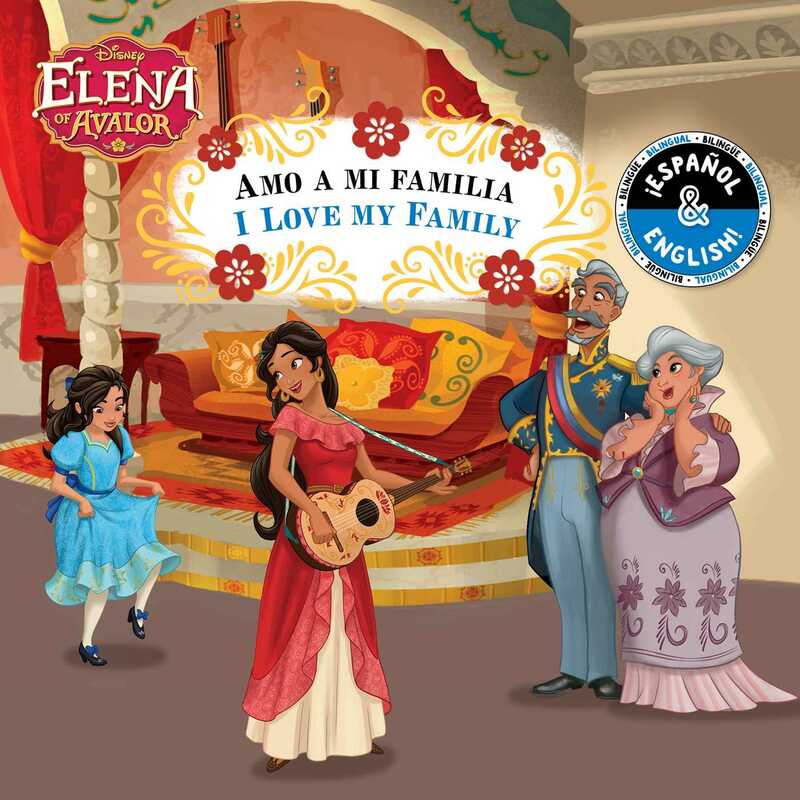 Elena stars in this board book in English and Spanish. ¡Descubre todo acerca de las familias con Elena of Avalor del canal Disney Channel! Elena es la protagonista de este libro de hojas de cartón en inglés y español. Meet Princess Elena and her family as she shares what she loves about her mother, father, sister, grandmother, grandfather, cousin, and friends. With bold images and clear text, this board book is perfect for building vocabulary and introducing sentences in English and Spanish. It's a sweet and simple first step in language learning. Conoce a la princesa Elena y su familia mientras ella comparte lo que ama de su mamá, papá, hermana, abuela, abuelo, primo y sus amigos.